Do you do different levels of quality? Yes, I do a “get it done as quick as possible” quality, driver quality (my driver quality is like others show quality), and premium concourse quality. Do you do any welding? Yes, I can weld up screw holes, tears and such, shorten-leangthen pieces. I weld stainless trim and aluminum trim, as needed. 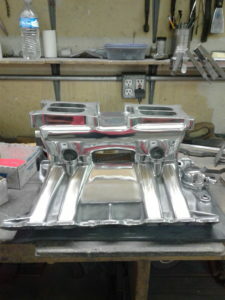 Do you restore aluminum trim, as well as stainless trim? 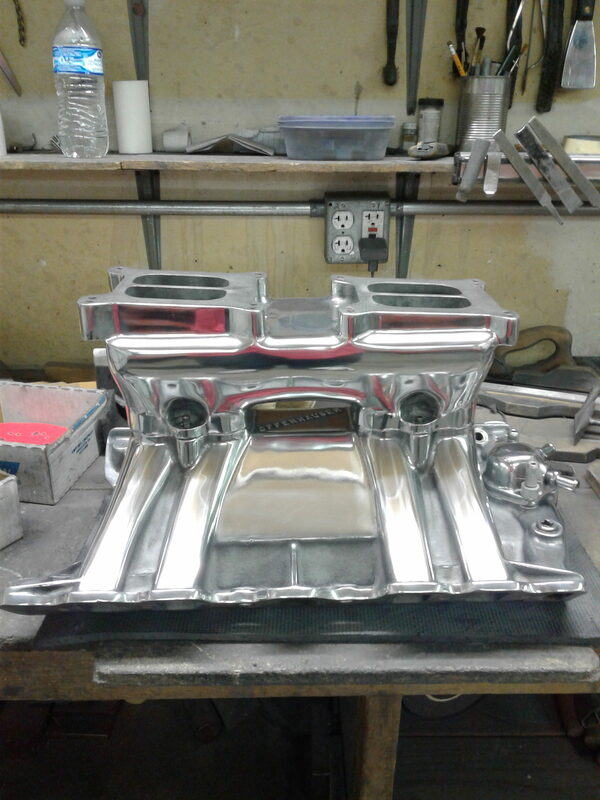 Yes, we restore aluminum trim moldings too, also aluminum manifolds, aluminum valve covers, and various other engine pieces and parts.